If you want to change the results you are getting, you need to change the process you follow. When it comes to making personal changes, that means changing your behavior. 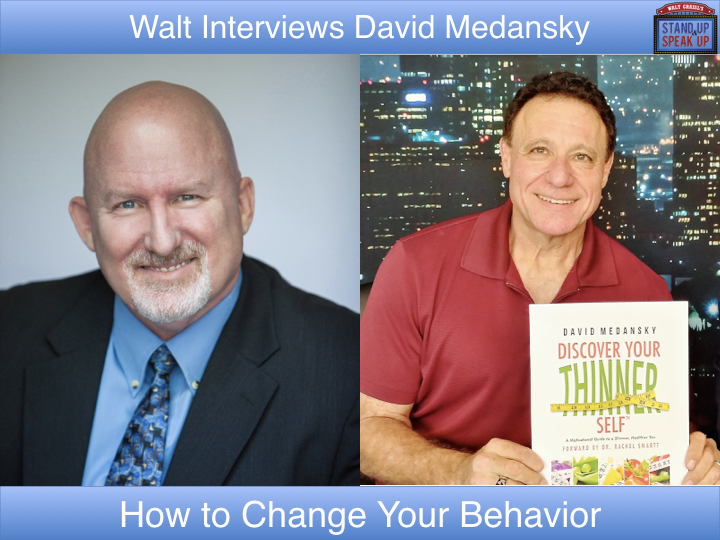 David Medansky, a retired divorce attorney, is an international best-selling author, a world-class expert on playing and winning at casino craps, and a trusted authority for successful, healthy weight reduction. In July of 2016, his doctor told him to lose weight or find another physician, because he didn't want David dying of a heart attack on his watch. Within four months, Medansky dropped 50 pounds. He wrote about his inspirational weight- reduction journey in his book, Discover Your Thinner Self. Now, he helps others achieve their weight loss success. For more information, visit www.BeyondLosingWeight.com.